Born December 28, 1936 to Earl and Eva (Battersbee) Smith in Vancouver, Washington. 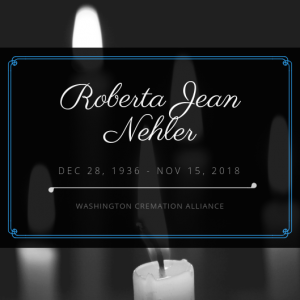 Died November 15, 2018 at her residence in Vancouver, Washington. Arrangements by Washington Cremation Alliance – (360) 553-3636.